It is crucial to take care of your teeth. The consequences of neglect can be quite severe, so it is worth developing some daily habits to ensure that you are able to reduce the likelihood of dental health problems. Millions of people have had all of their upper or lower teeth removed. So even if there is a need for multiple tooth removal, there is now a process known as all-on-4 dental implants that will provide a suitable fixed alternative to dentures. To reduce the chance of needing this, Dentist Collingwood recommends that you regularly perform the following practices to keep your teeth healthy. Always brush your teeth before going to bed at night. It can be easy to fall asleep without doing this. But it is important, as otherwise your mouth will be offering a great environment for bacteria to have an impact on your teeth. Always brush your teeth thoroughly. Ensure that time is taken and that all of the teeth receive suitable care during the brushing. Also, remember to brush your tongue. There are two aspects to this, as plaque is able to accumulate on your tongue, and you may have bacteria there that you need to clean off. Cleaning your tongue can help prevent bad mouth odour and reduce other oral health issues. Use a suitable toothbrush when brushing your teeth. If you are using an old toothbrush, you will be limiting the effectiveness of your cleaning. Using a good toothbrush will make a substantial difference to your teeth cleaning. Use a good fluoride toothpaste to ensure that you are gaining the maximum benefits. Teeth cleaning will ensure that food is removed from your teeth, but the fluoride is also able to help with general tooth and enamel health. The amount of fluoride will not have an impact on your health other than to help your teeth. Do not forget to also floss your teeth after cleaning, even if it is only once each day. 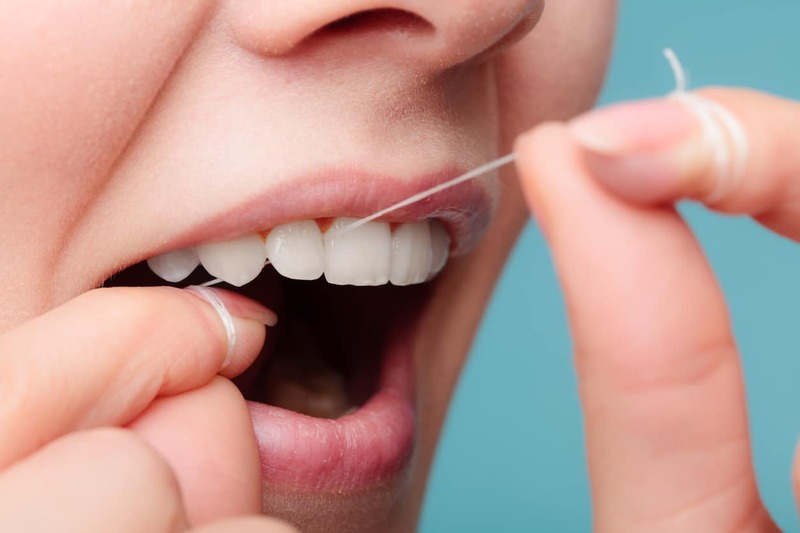 Flossing will remove any of those food particles between teeth that you may have missed while cleaning, but it will also reduce plaque, and potentially reduce any gum inflammation you have. Use flossing tools if you have trouble flossing, for example, if you have arthritis. Using a good mouthwash correctly can help with oral health. Mouthwash can reduce acidity, assist with re-mineralising teeth, and will clear all around the gums and teeth gaps. This can be very helpful for older people who may have trouble cleaning their teeth thoroughly. Make sure that you drink plenty of water. This would mean drinking water after every meal or after drinking soft drinks, juices, or sports drinks that can help reduce any levels of acidity and sugar. Eating firm and crunchy fruit and vegetables will strengthen teeth and gums and act as a natural cleaner for teeth. It will also bring healthy fibre into your diet and get the muscles in your jaw working, increasing blood flow. It is a good idea to limit the amount of sugary food that you consume. Part of the process of the breakdown of sugars in your mouth is the creation of acids that are able to affect the enamel of your teeth and lead to cavities. You should visit your dentist around every six months for a clean-up and check for any potential problems. Spotting issues early can make a big difference, with early treatment and prevention of them escalating. But even if you do find that you need to have multiple teeth removed, you can be confident there is an effective technique, all-on-4 dental implants, that will ensure you will still have an effective bite and smile. If you would like to find out more about tooth replacement or if you are interested in any other dental information, please contact our helpful staff at Dentist Collingwood by calling (03) 9417 6355 today.